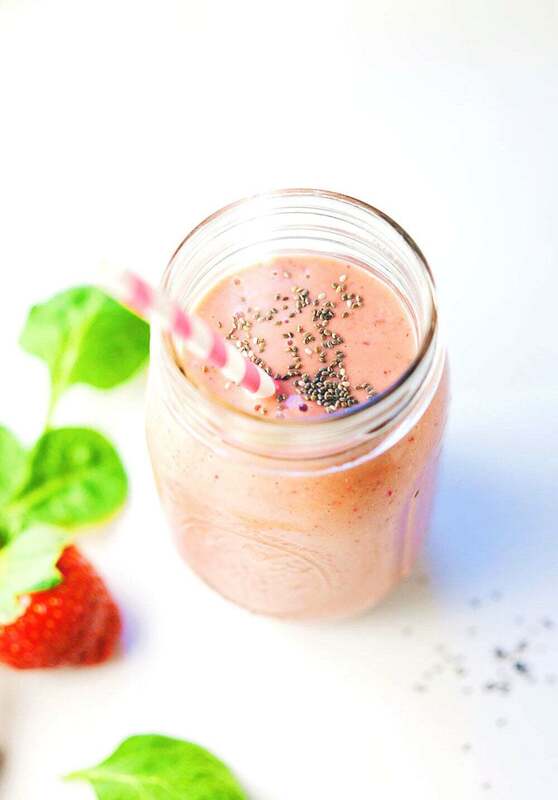 Chia Strawberry Spinach Smoothie – A delicious smoothie with strawberries, healthy spinach, and chia seeds. 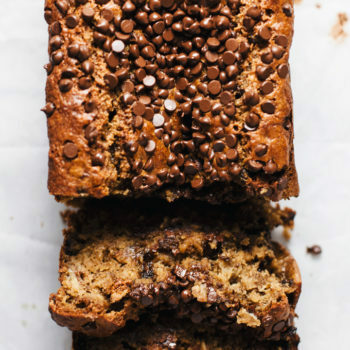 Great for a nourishing breakfast or snack! I’m back on my smoothie streak! There are days where I like to make a hodgepodge of greens and fruits in a smoothie, or day’s where I crave a simple and straightforward smoothie. 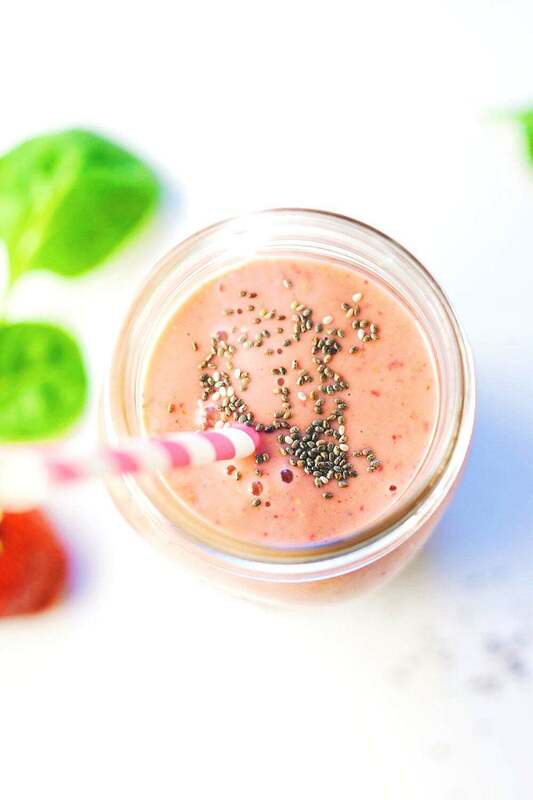 And I was feeling more simple when I made this…Creamy strawberry flavors with protein packed spinach – I will literally eat this smoothie every day because it’s so dang good! 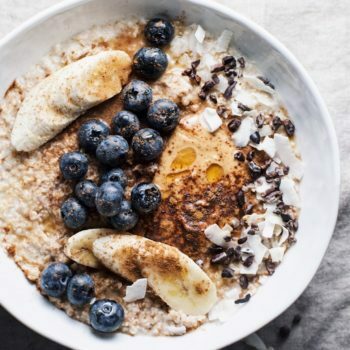 –>CHIA SEEDS – for fiber and omega-3’s. –>FRESH SPINACH – for zinc and protein. –>ALMOND MILK – for a higher source of protein. 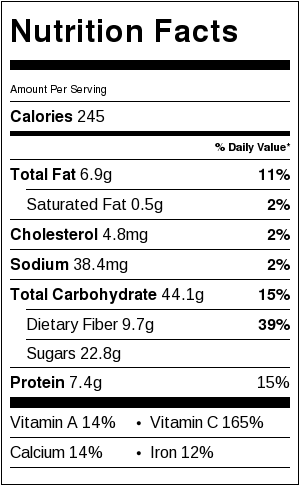 –>GREEK YOGURT – for calcium. 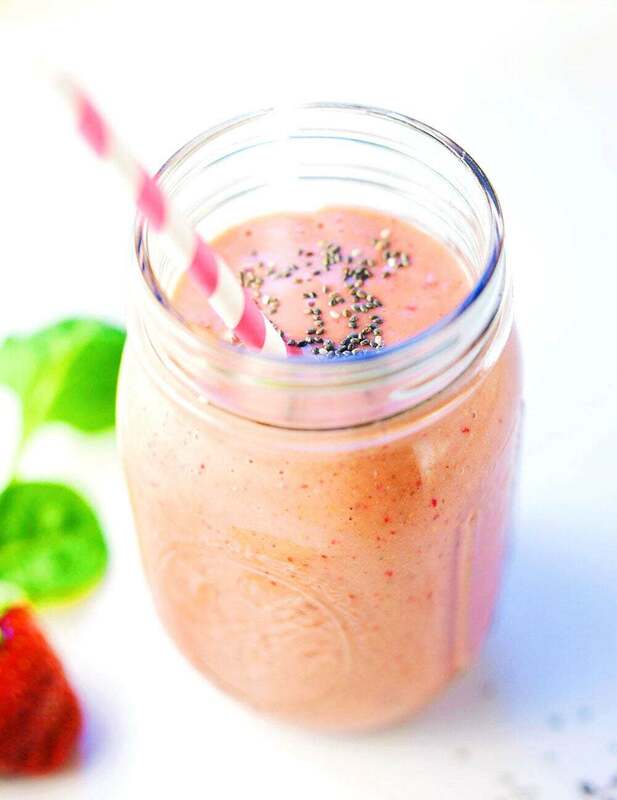 –> BANANA & STRAWBERRIES – for all those vibrant colors and nutrients that they both carry – and HELLO FLAVAAAA. ? Before making this, I had just gotten back from the gym and was feeling more sleepy & drained than usual. I had been eating healthy foods/what I usually eat, but I wasn’t eating much color. Therefore, really wasn’t feeling the best I knew my body could feel. So after craaavving, literally, a strawberry smoothie I decided it was time to give my body a boost with replenishing nutrients. SIDE NOTE: The more colorful the food – the MORE nutrients and vitamins you’re getting. ? I absolutely LOVE this smoothie and also being able to sneak some greens in without having that beautiful color & flavor change. 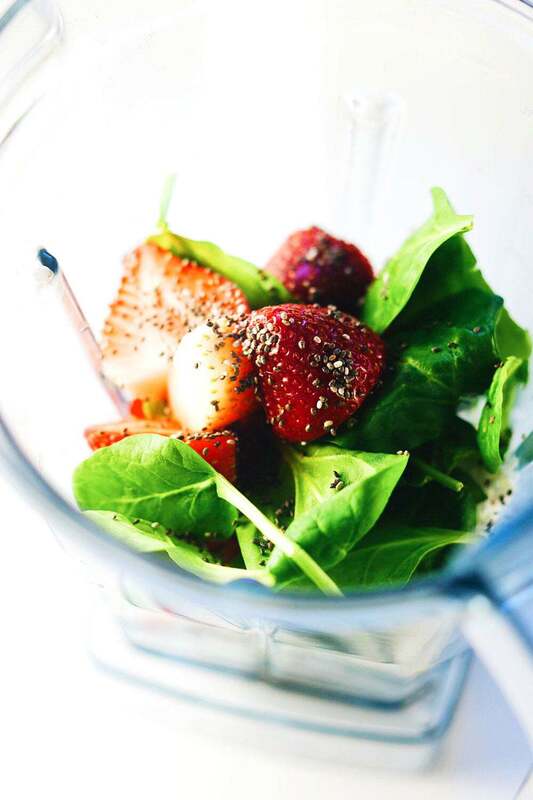 Delicious, nourishing strawberry and spinach smoothie. 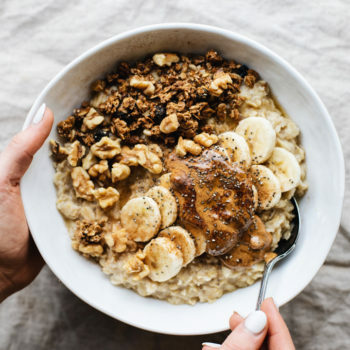 Perfect for a healthy breakfast or snack! 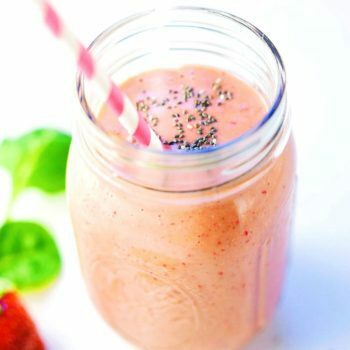 I’ve been reading post about what smoothie is best after workout. Your post is very well said. I’ll definitely try this one tomorrow after gym.